When TDS U/s 194A is to be Deducted ? 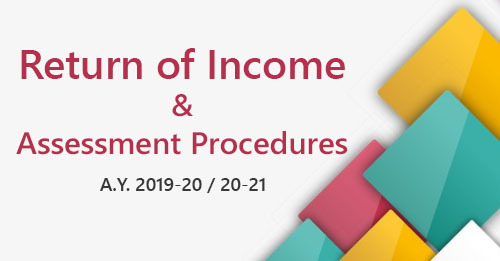 The provisions of tax deducted at source presently apply to several payments like salary, interest, commission, brokerage, professional fees, royalty, etc. In this part, you can gain knowledge on three major payments covered under the TDS mechanism viz. TDS on fees for professional/technical services/royalty. The person (other than an individual or a Hindu Undivided Family) who is responsible for paying to a resident any income by way of interest other than 'interest on securities', is required to deduct tax thereon at the rates in force. Individuals and HUF whose total sales/turnover/receipts from the business/ profession carried on by him in the immediately preceding financial year exceeded the monetary limit specified under section 44AB(a) or (b), are also required to deduct tax at source. In other words, an individual or a HUF is liable to deduct TDS under section 194A, if such individual or HUF was liable to get his/its accounts audited under section 44AB in the preceding financial year. In the case of credit or, as the case may be, payment or any other sum chargeable under the provisions of this Act, the payer himself, or, if the payer is a company, the company itself including the principal officer thereof. 2. When TDS U/s 194A is to be Deducted ? Tax is to be deducted either at the time of payment of interest in cash or by issue of cheque or draft or by any other mode or credit of it to any account, whichever is earlier. Where any income by way of interest as aforesaid is credited to any account whether called "Interest payable account" or "Suspense Account" or by any other name in the books of account of the person liable to pay such income, such crediting shall be deemed to be credit of such income to the account of the payee. The whole scheme of TDS proceeds on the assumption that the person whose liability is to pay an income knows the identity of the beneficiary or the recipient of the income. In this view of the matter. TDS mechanism cannot be put into practice until identity of the person in whose hands it is includible as income can be ascertained. Rs. 5,000 in any other case. The Bill has amended section 194A so as to raise the threshold for deduction of tax at source on interest income for senior citizens from Rs. 10,000 to Rs. 50,000. This amendment will take effect, for interest paid or credited on or after 1.4.2018. A business trust if such income is by way of interest referred to in section 10(23FC). A person, other than a company or firm may furnish a declaration in writing in duplicate in new Form No. 15G to the payer to the effect that there is no tax payable on his Total Income. In this case, the payer shall not deduct any tax at source. Payment from accumulated balance of recognized provident fund, if taxable. Interest other than interest on securities. Payment in respect of life insurance policy, if taxable. Payment in respect of deposit under National Saving Scheme. Payment in respect of rent (applicable w.e.f. 1.6.2016). As per section 206AA(2), declaration under Form No. 15G or 15H shall not be valid if it does not contain the permanent account number of the declarant. In case any declaration becomes invalid, the deductor shall deduct the tax @ 20% except where the payment is made from accumulated balance of recognised provident fund where it will be deducted at the maximum marginal rate. The payer of the income is required to deliver to the Principal Commissioner or Commissioner one copy of declaration given under new Form 15G on or before the 7th day of month next following the month in which the declaration is furnished to him. on borrowing, on or after the 1st day of April, 2005, from a non-resident or a person not ordinarily resident in India. Notwithstanding anything contained in this Chapter, no deduction of tax shall be made from any payment to any person for, or on behalf of, the New Pension System Trust referred to in section 10(44). No deduction of tax shall be made from such specified payment to such institution, association or body or class of institutions, associations or bodies as may be notified by the Central Government in the Official Gazette, in this behalf. As per rule 28AB certain entities who are required to file there return of income under section 139(4A) or 139(4C) may apply under Form No. 13 for no deduction of tax at source provided certain conditions are satisfied. 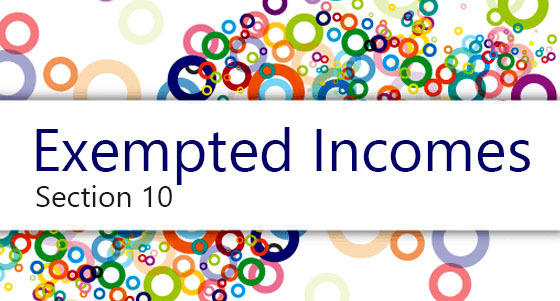 In case of certain entities whose income is unconditionally exempt under section 10 and who are statutorily not required to file return under section 139 there will be no requirement for TDS since their income is in any way Exempt. Any person to whom interest is payable may make an application in Form No. 13 to the Assessing Officer and obtain such certificate from him, as may be appropriate, authorising the payer not to deduct tax or to deduct tax at a lower rate. As per section 206AA(4), no certificate under section 197 for deduction of tax at Nil rate or lower rate shall be granted unless the application made under that section contains the Permanent Account Number of the applicant. The rate of TDS will be 20% in all cases, if PAN is not quoted by the deductee. No surcharge, education cess and SHEC shall be added. Hence, TDS shall be deductible at basic rates.